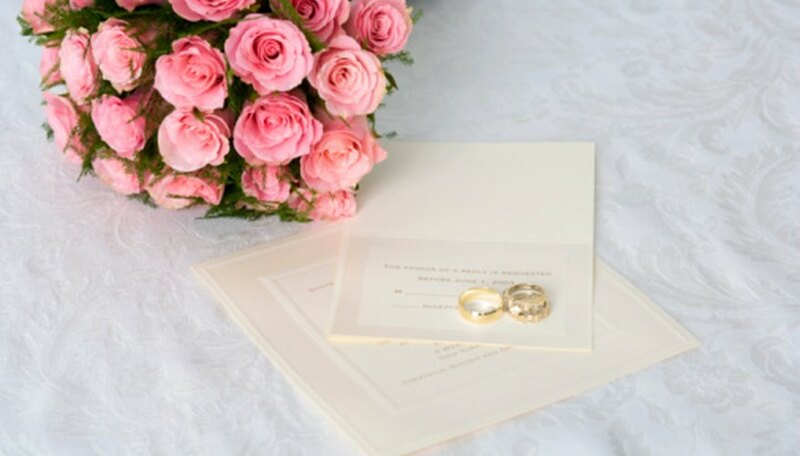 Wedding invitations set the tone for your unique nuptials. Instead of allowing a traditional company to create run of the mill invitations, why not create them yourself? With Cricut, you are able to create your own magical wedding invitations that illustrate what you, your wedding and your love is all about. Create something you would enjoy receiving in the mail and that will remain a keepsake throughout your marriage. Open your Cricut Design Studio program. Choose the font and shape cartridges you would like to use. Design your Cricut pieces for your wedding invitations. Determine what you will use the Cricut font for and which Cricut shapes you will use as décor. Load the contact paper onto the Cricut machine's sticky mat to prepare for printing. Set the Cricut machine's settings to accommodate the stiffness and thickness of the paper you are using. You will be able to set the blade depth, speed and pressure applied. Ensure you have the proper font and shape cartridges loaded into the Cricut machine. Print out your Cricut designs. Remove from contact paper and place on invitations as you see fit. You may want to do a few practice runs before using your good paper.